As United States Attorney General, the young, legally inexperienced Robert F. Kennedy sat at the head of a vast department tasked with enforcing the law and defending the rights of an entire nation. Although his family connection to the White House raised eyebrows, Robert Kennedy’s tenure was marked by impassioned battles to root out corruption and protect individual civil liberties. From his fierce stand against organized crime to his tumultuous relationship with FBI director J. Edgar Hoover, RFK proved time and again that he was a champion of fairness. 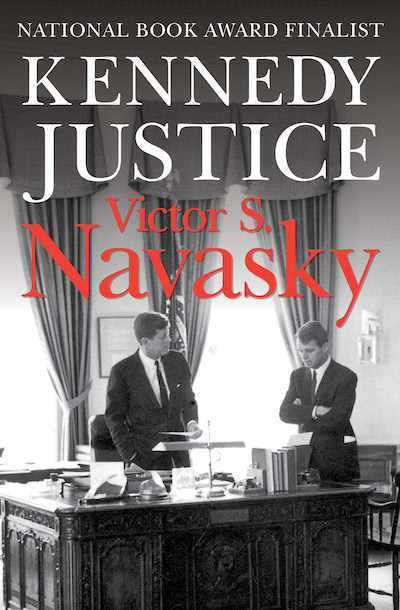 In this investigative account of the Kennedy years, acclaimed scholar Victor S. Navasky crafts an unmatched portrait of the complex interaction of power and principle in the halls of justice.